Google has started rolling out the October 5th Android security update to the Pixel line of handsets. Besides the security update, several bugs and issues are fixed, and performance of the phones is improved. For example, the update improves the fast-charging experience on the Pixel and Pixel XL. The Pixel 2 and Pixel 2 XL should see improved performance for certain protected media formats, and improved stability when using Android Auto. All Pixel handsets had their Call Screening behavior when using Maps Navigation, modified. The patch dated October 1st takes care of 23 issues ranging in severity from critical (8) to high (14) and moderate (1). The October 5th patch deals with three issues all rated high. 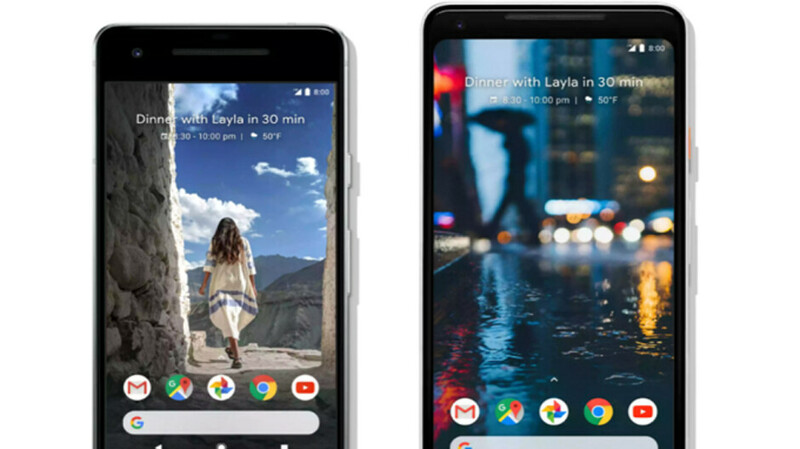 None of the four Pixel phones required any security fixes, and no Android user was reported to have been negatively impacted by the security issues. The most potentially serious issue, according to the monthly Android Security Bulletin, was one that could have allowed a remote attacker to execute arbitrary code using a specially crafted file. 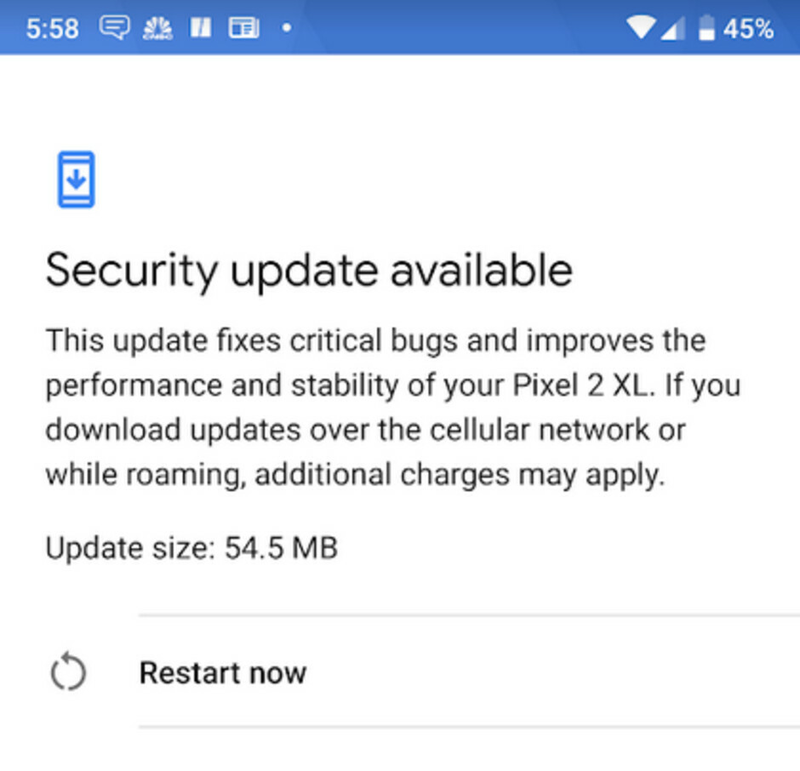 The entire update for the Pixel 2 XL weighed in at 54.5MB. Besides the Pixel phones, the October Android security update was sent out starting today to the Essential Phone. As the month progresses, you can expect more Android handsets to receive this month's security update. The Essential PH-1 got it today as well. The Essential phone never ceases to amaze me. This is why owning a Pixel is worth it. Consistent updates and security updates each and every month. Keep setting that bar Google. Does the android one phones got it too? I'm pretty sure they do.